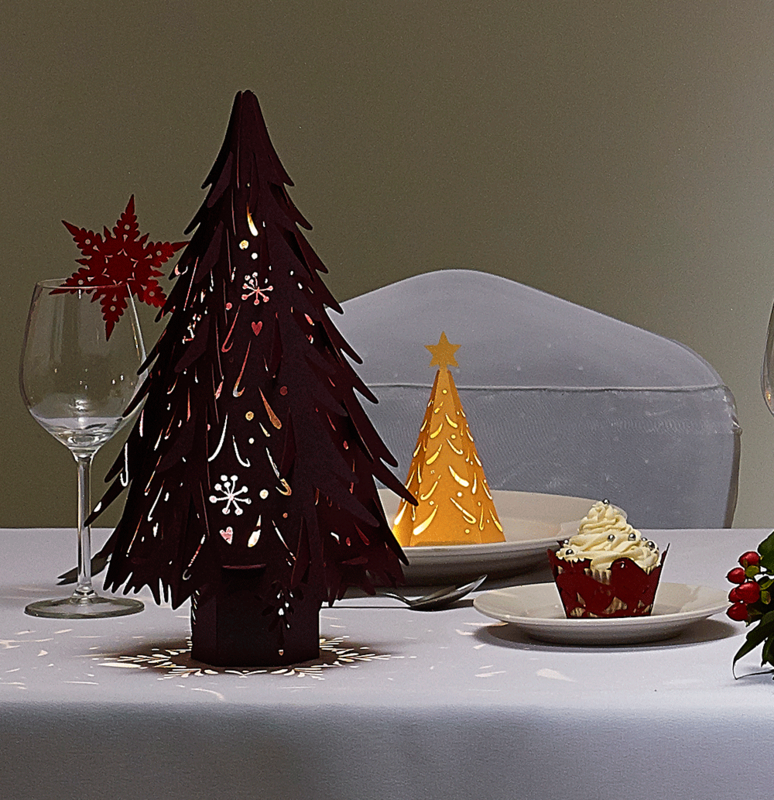 Add our luxurious small ruby Christmas Tree to your winter wedding dinner tables and let the enclosed warm Buttonlite cast stunning shadows. Do away with traditional reds and greens and wow your guests with our Deco collection and mix ruby toned purple, gold and frosty whites throughout. Each small Christmas tree is 36cm high and 20cm wide and can be ready for use in a couple of simple steps. 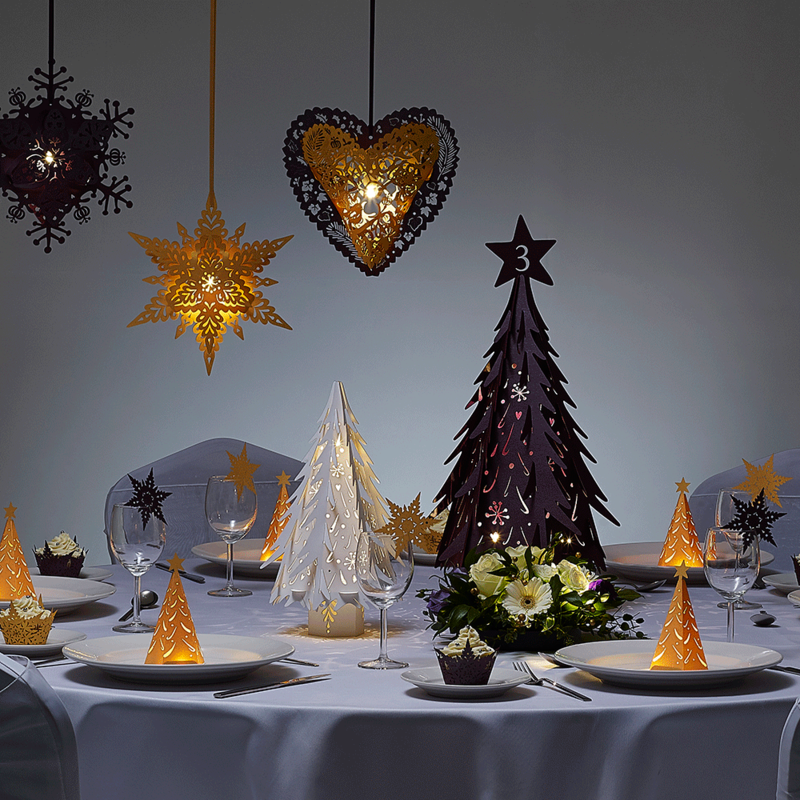 Just slot each of the paper Christmas Tree panels together to create the branches of the Nordic spruce and switch the enclosed Buttonlite on just before your guests arrive. To set the top table apart from your guests tables, why not suspend small purple trees from the ceiling using the supplied ribbon. Our trees can also be stood on a flat surface using the included base. 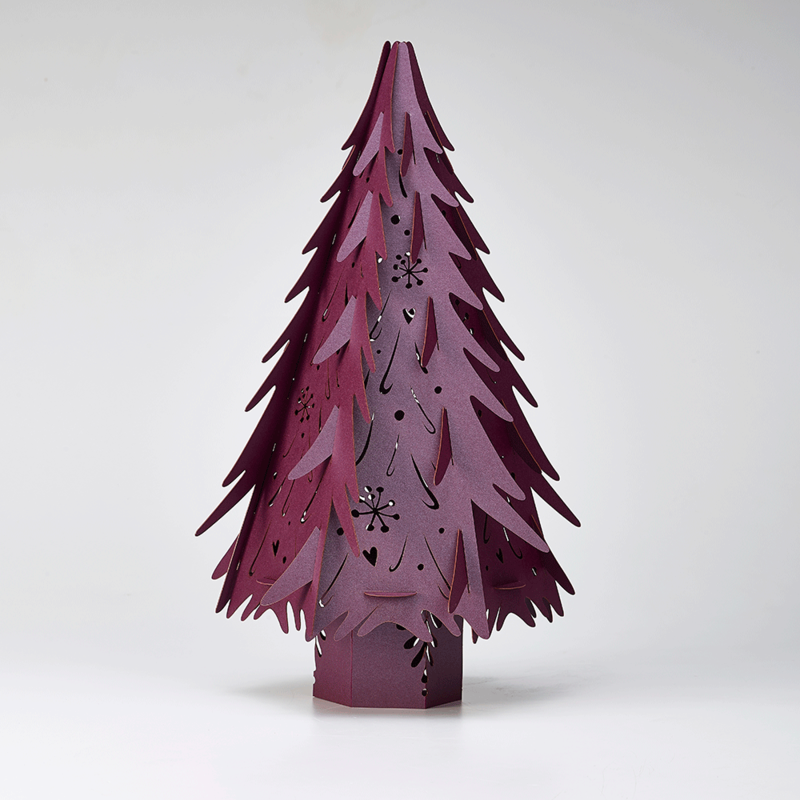 Our stardream ruby trees are crafted from British FSC certified papers and can have an optional star on top to denote the table number or name, just get in touch with our Sussex design studio to add any personal tweaks.